Are you concerned about your Facebook Account’s Security? If Yes, then now you don’t need to worry about making your Facebook account secure, as I am going to reveal proven methods which will make your Facebook account safe from hackers in next 5 minutes. The users do carry different sort of essential information on their FB account which is more than private for sure, I personally carry such information on my Facebook account and I am pretty sure you all must be too. 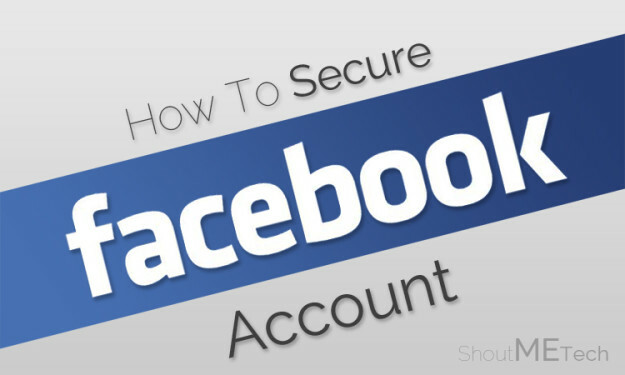 That is the reason that I am writing this guide for the solution of users like us, who want to secure their Facebook accounts. Check out all the below mentioned Facebook security tips, and implement them right away. Not only you will save your Facebook account from preying eyes of the hackers, you will also be getting rid of annoying Facebook users. So, here are the security settings which you need to apply to save your account from Facebook account hackers. The first and most prime thing is restricting your content from being seen by unknown users. When you share content on your wall for your friend then it can be seen by unknown users too, which is Facebook’s default setting. Additionally, you need to restrict your sharing from being seen in order to maintain the security and to ensure the complete privacy. First of all, go to your Facebook account and then Click on Lock icon from top menu. After that, from drop-down menu, Click on Who can See My Stuff? Afterwards, Change Public option to Friends in order to share your content only with your Friends. 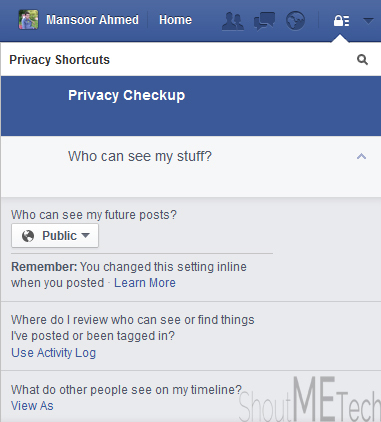 Ones you have applied these changes then your posts will be only visible to your Facebook friends. Note: Even after making this change, you can selectively share your updates with Public. If you are a girl, you must be getting typical “I wanna be your friend” or “You are so gorgeous” kind of messages from Facebook romeos. 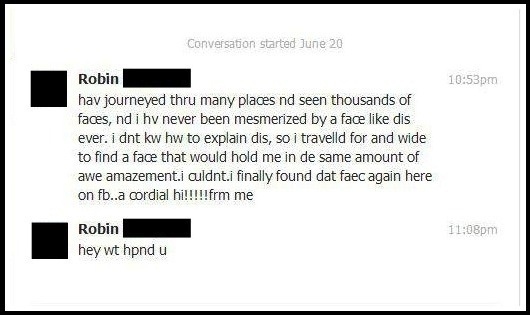 Don’t want to ever get such messages? I got you cover below..
Go to your Facebook account and Click on Lock icon. After that, Click on Who Can Contact me? And then you need to Check mark the Strict filtering. Additionally, you can also restrict unknown persons to stop sending you friend request by Selecting Friends of Friends option. Ones you have saved these changes then the unknown users will not able to send you a message and can’t even send you a friend request. Block Facebook account – Seriously it helps! If there is any user who is bothering you and performing spam on your account in order to hit your privacy then it is a security threats and you must take solid step to stop it in order to save your account. So, Facebook allows you to block such users with ease and then he/she will not be able to contact you and will not even able to see you on Facebook. You need to apply these steps to block such users. Now, from drop down menu Click on How do I stop someone from bothering me? Afterwards, you will have a box and in that box write the name or email address of user whom you want to block and then Click on Block. 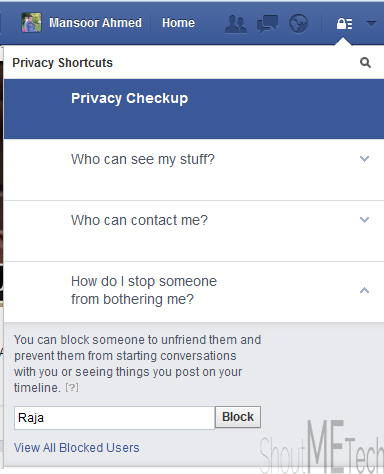 Now that person will not be able to see you on Facebook anymore. Many users wanted this feature for long time in order to be on safe side and in order to hide their account from being searched or seen. Additionally, Facebook do provide the complete security to its users in order to maintain their privacy. So, if you want to hide your account from others and want that no one can see your appearance on Facebook then this trick is going to help you for sure. First of all, go to your Facebook account and then Click on Lock button from top. Then from drop down menu Click on See More Settings. Now, you will be on Privacy window with some extra settings. Then you need to make changes under Who can look me up section. Click on Edit button in front of each option then make changes as mentioned in below screenshots. Now your account will be hidden for unknown users and search engines. 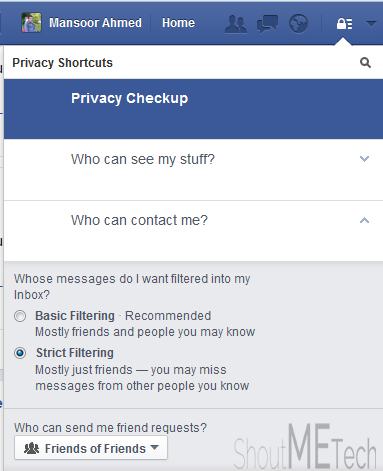 Another most important trick which Facebook has added few days back. The Facebook now allows you to check that from where your account has been logged in with location details, browser and Operating System. It actually allow you to track the logging in locations of your account which will definitely help you to see that your account is safe or not. Now you will be on Settings option, then you need to Click on Security from left menu. Then you need to Click on Edit button in front of Where You’re Logged In. Afterwards, you will be able to see logging in locations of your Facebook account. So friends, these are some essential security settings for your Facebook account. I am sure that these settings will help you to be on the safe side. If you have any kind of questions or queries left related to this article then do let me know. I shall get back to your queries and will try to resolve them soon. Furthermore, if you think that this guide worth reading and can be helpful for many Facebook users then don’t forget to share it with others. Your shares may help any of the Facebook user to protect his/her account and privacy. So, friends keep protecting others.